Chicago is a 5-reel, 20-line video slot machine that’s available to play at SlotsClub.com and elsewhere online. 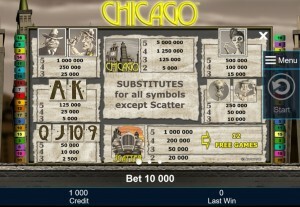 This game is one of Novomatic’s many free online slots, which means that you play the slot for free as much as you like. You can also play the game for real money in the hopes of winning cash prizes. There’s even a gamble mode present after each win that lets you try and squeeze a bit more out. 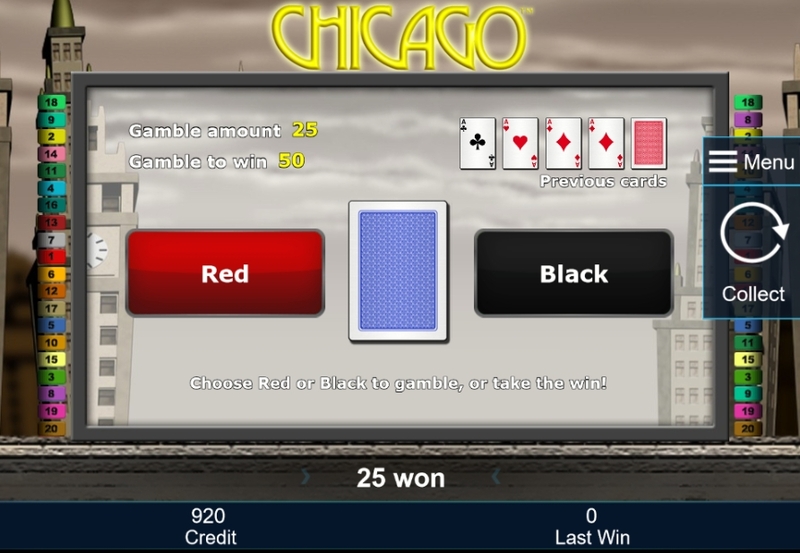 The Chicago game you can play online is the same as the game that’s available as an actual video slot machine in casinos and pubs throughout the world. Even the music and sound effects are the same. The minimum bet is just $0.02 and serious gamblers can take it as high as $100 per spin. There’s also a bonus round that allows for multipliers as high as x10, and that allows for some really lucrative bonus payouts. 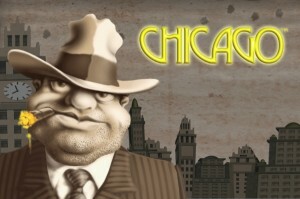 Novomatic’s goal with Chicago is to capture this iconic American city during its most notorious era, the age of gangsters. There are no real-world gangsters here, but the caricatures used as symbol art are clearly references to some of them, including Al Capone and even Bonnie Parker. Rounding out the symbol set are policeman, paperboys, racing vehicles and more. The art style and choice of coloring have an old-fashioned aesthetic that make it feel like the 1930s. It also helps that there’s authentic music during and in between spins. There are also sound effects that really sell the atmosphere. Old-style police sirens blaring, for instance, give you a great sense of time and place, and even the bonus game helps to provide a little story. Chicago has two primary special features: a wild symbol and a scatter symbol. The wild symbol is represented by the Chicago skyline, and one or more wilds can substitute for any non-scatter symbol to create a winning combination. The scatter, which is represented by an old-time Cadillac, is special in that the symbols can be anywhere on the reels rather than having to be adjacent. The scatter feature pays out coins with two or more symbols present, but the real benefit is that with three or more symbols present it initiates a Bottle Shooting bonus game. The bonus consists of 12 free spins. You can also stack additional free games, and the bottles represent a multiplier that can be as high as x10. 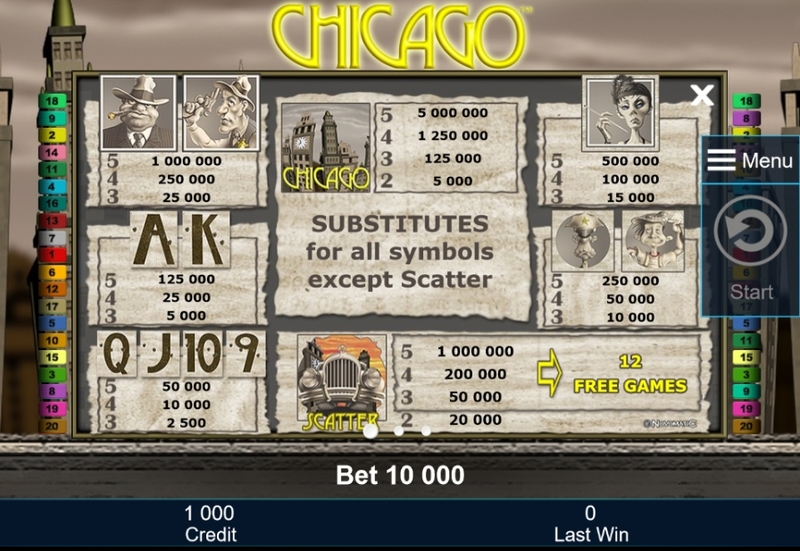 The multiplier is applied to all winnings earned during the bonus round, which leads to some very big jackpots. 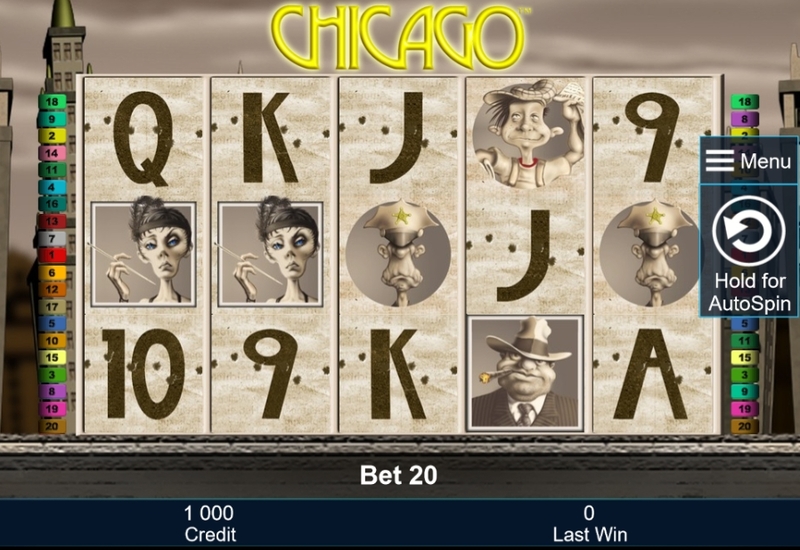 There are many great games in the Novomatic slots lineup, but Chicago stands out. Whether you play the slot for fun or real money, there’s a lot to like here. 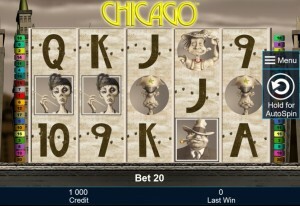 The online slot just has a great sense of style and atmosphere. The artwork alone is incredible. Few 2D slot games have such a distinctive style. The sound effects help the immersion, and the pace is very fast, which means that you can complete many spins in a relatively short period. The animations on the reels are a nice touch and do a great job of announcing wins with a bit of excitement. The game also has a good return-to-player rate at 96.81 percent, and there are solid winnings to be had here even for players who prefer to play for pennies rather than dollars.